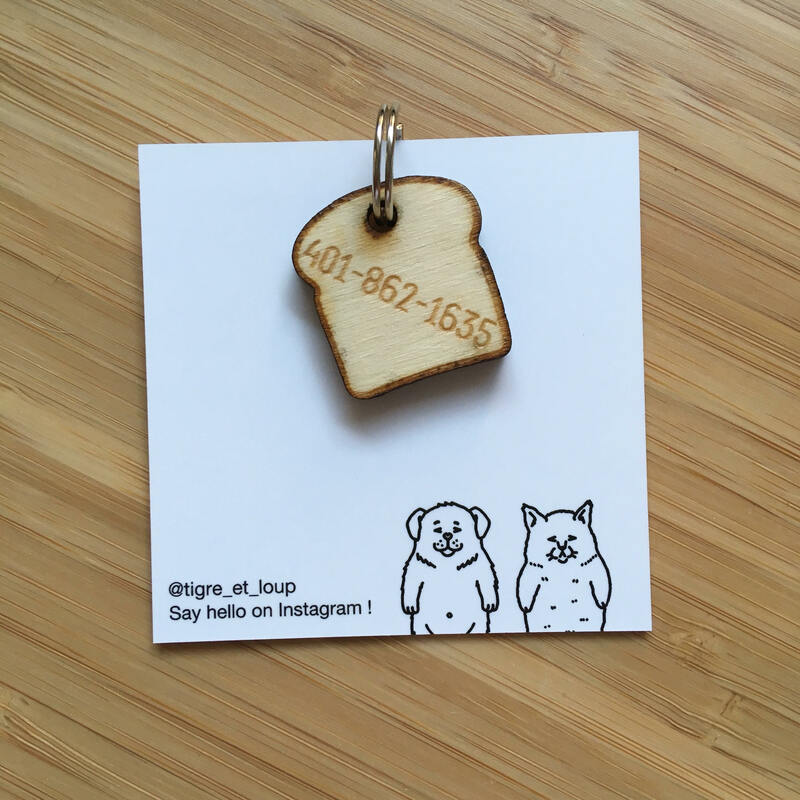 Custom laser cut poplar wood Slice of bread cat tag. Your cat's name is engraved on the front side, and your phone number on the back. 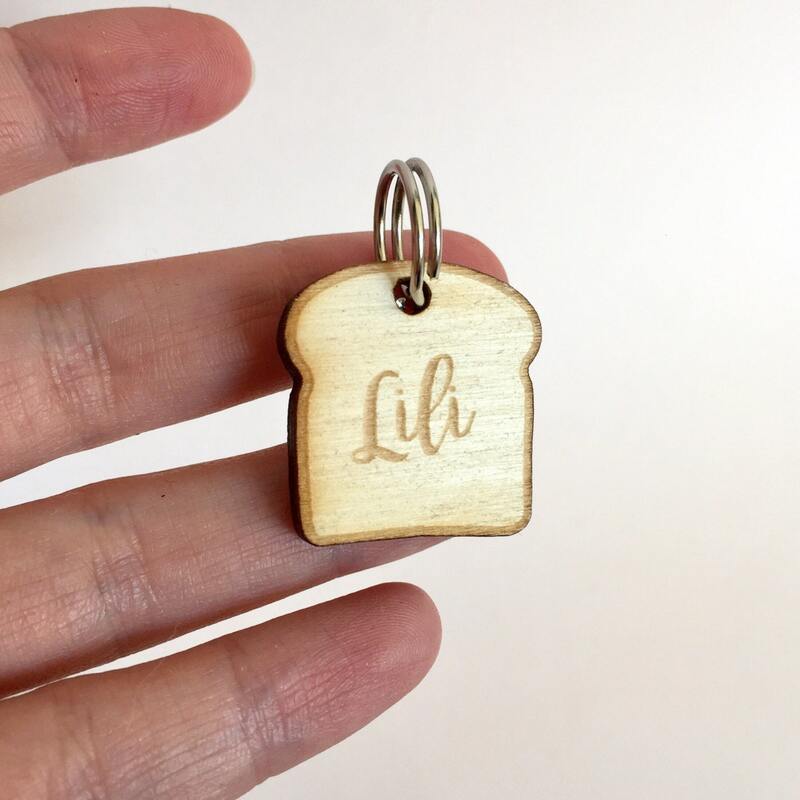 The cat tag is 25 mm wide and 5 mm thick. It is smaller than the dog version so more harmonious on a cat, and it doesn't disturb the cat. The phone number stay easily readable. Tags are designed by Tigre et Loup and laser cut in a parisian workshop. It is then varnished to ensure maximum strength, protection and weather resistance. 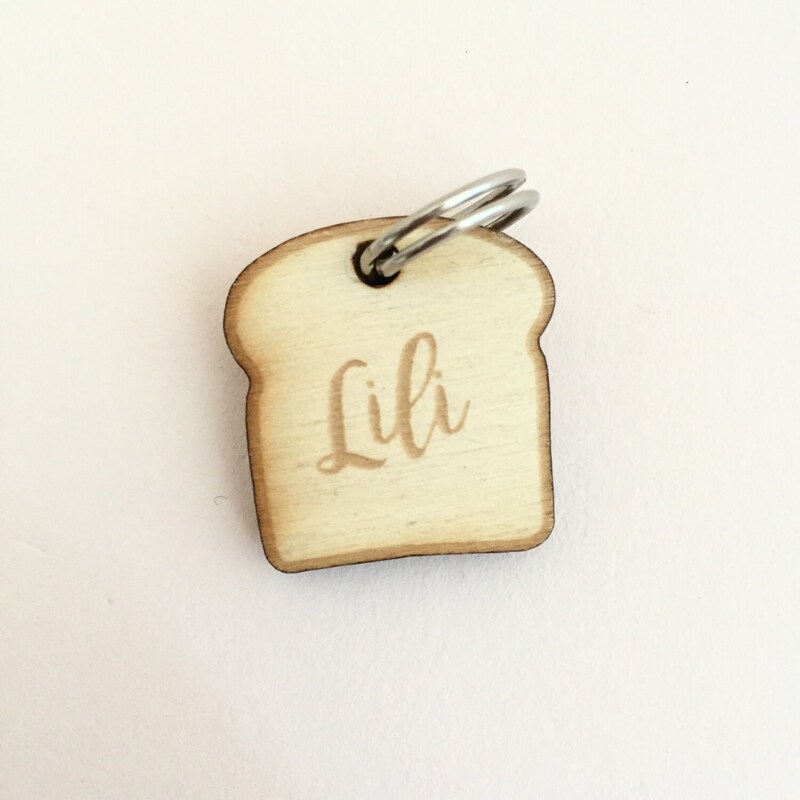 Each tag comes with a double split ring for easy fastening to your cat's collar. It is the perfect gift for your cat or your friends' cat ! Please consider the manufacturing time when placing your order. Très mignonne petite brioche. Gravure impeccable. The tag is funny, well made and makes us happy. Fantastic seller with great customer service. We will definitely be back!